How to upgrade software to more advanced one? Q: I ordered Any DVD Cloner 2 years ago, and I love to order Any DVD Cloner Platinum, any discount? A: Yes, you can. 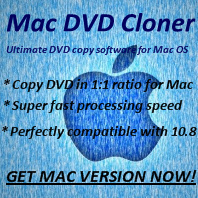 You can own Any DVD Cloner Platinum with only 9.95 USD. 30 USD is saved. Please contact us via support [at] dvdsmith.com (replace [at] as @ before sending message) to get the discount coupon. You will receive an email including code for registration within 24 hours after the payment is made. If the email is not received in time, please feel free to let us know by telling us your purchasing email adress.